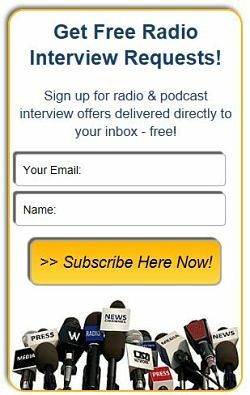 Gary VanDyke "Food for Orphans" Founder Tells Exciting Stories - Radio Guest List.com - How to Get Radio Interviews and Find Podcast Guests! GaryVanDyke started and is running an international charity that feeds thousands of orphans. Gary talks about overcoming challenges, explains how 37¢ can save the life of an orphan, offers donation and partnership opportunities, directs listeners to his website, and entertains and encourages audiences with his great life story. Gary's real-life stories of orphans will motivate and encourage your audience. Your listeners will soon be repeating his stories to everyone they know. Gary left a lucrative career in radio and TV to start the international charity Food for Orphans (FEIN 75-3242422) in 2007 when he was 55 years old. One year later, he developed cancer. Six months later he developed another unrelated form of cancer. In 2014 Gary was diagnosed with Parkinson's Disease. Yet in spite of all this, Food for Orphans has fulfilled its mission by providing over 8 million meals to orphans in 16 different countries. Gary has hundreds of exciting stories about the lives of orphans around the world that he weaves into the interview. As Gary had a 25 year career in radio and TV, he has vast experience at being on-air. With hundreds of exciting stories to tell about international orphans, your audience will lock onto your show and will be entertained, motivated, and encouraged.